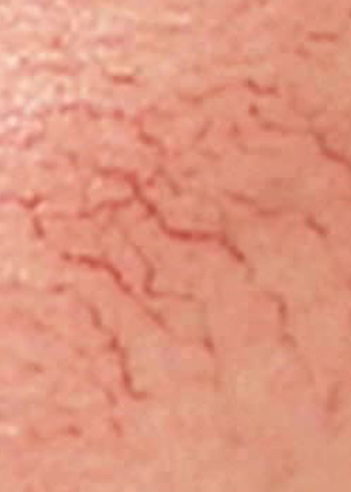 Small red spider veins on the face or lower body can be treated, as well as larger blue-green colored veins on the legs. Elôs uses Bi-Polar Radio Frequency and Light energies to precisely target and heat the unwanted vein while protecting the surrounding skin. Improvement may be seen after a single treatment. The total number of required treatment sessions depends on the extent and depth of the vascular lesions. Maximum clearance is typically achieved within 1-3 treatment sessions. This is a no-downtime procedure. Many patients return to normal activities immediately after treatment.